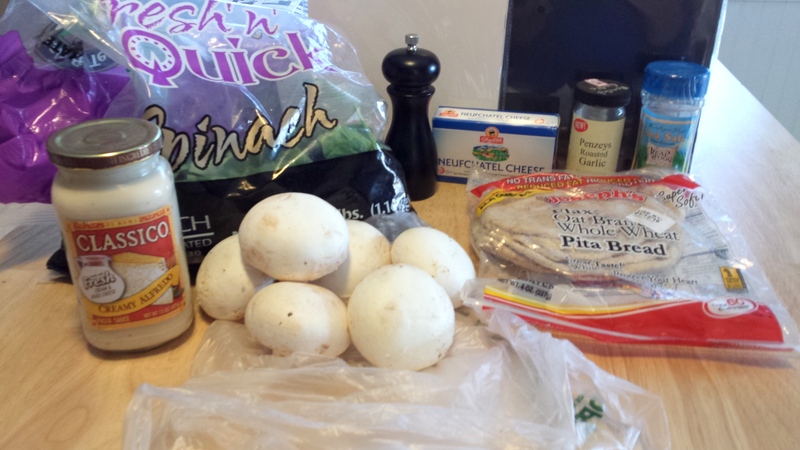 Mushrooms are one of those foods that you either love or hate. I love them. My mother hates them. And regularly lets me know how much she hates them (love you, Mom). 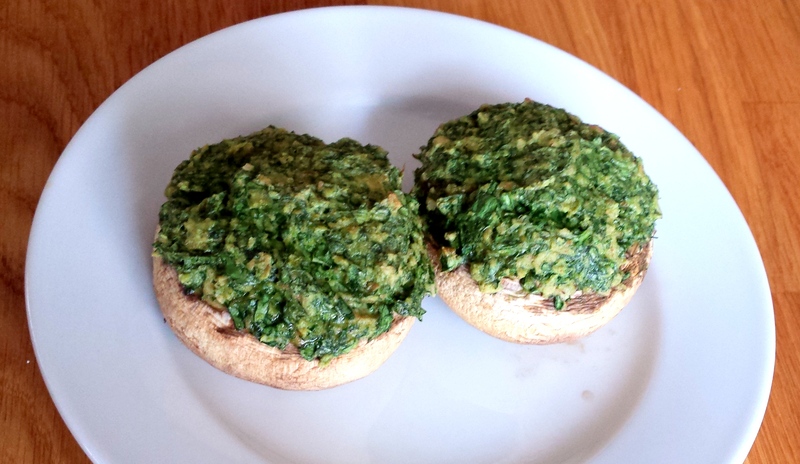 Stuffed mushrooms can be so good or so bad. 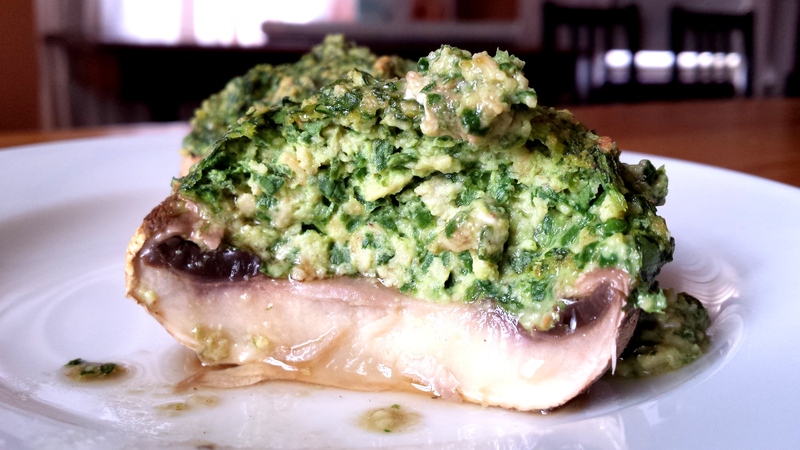 If you are a mushroom lover at some point you must have had a less than thrilling stuffed mushroom. A mushroom full of flavorless bread crumbs. 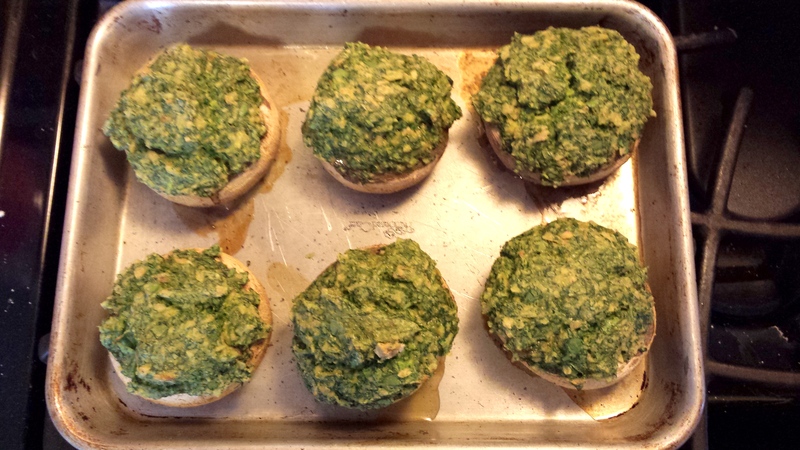 These Spinach Alfredo Stuffed Mushrooms not even close to those. Not even in the same hemisphere. You can taste the Alfredo sauce and the garlic and the spinach and the mushroom. It is a perfect combination of flavor. The filling is light and fluffy but really packs a punch. 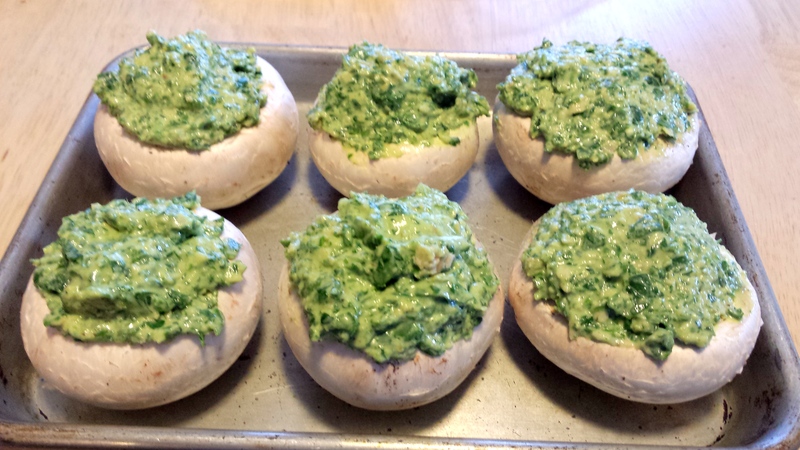 I will never go back to other stuffed mushroom recipes. This is so easy. If you have a food processor you can make the filling entirely in there. If you don’t they are a little more work but you can make them with a little dicing and chopping. 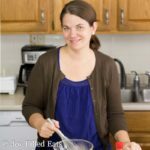 This makes 3 servings of two big, overflowing, tummy filling mushrooms each. 1. Preheat oven to 350. Pull stems out of mushrooms and discard or use in another recipe. 2. In a food processor process the pita until it is large crumbs. Add the spinach to the food processor and top with all the remaining ingredients. Pulse until all the spinach is chopped. 3. Divide the filling between the prepared mushrooms. 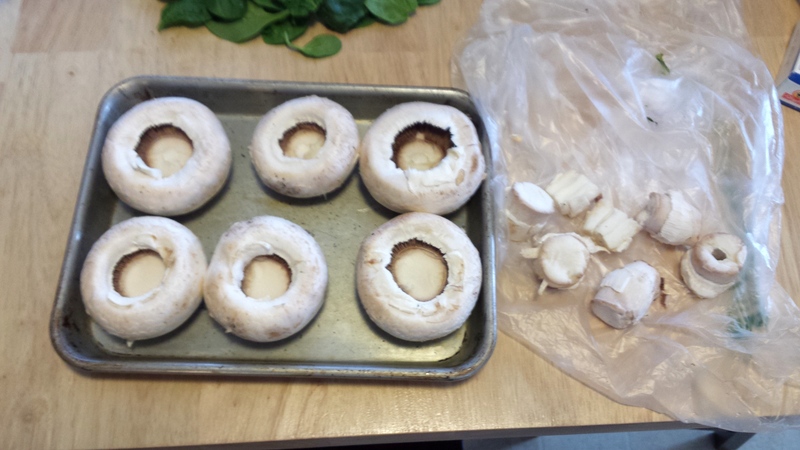 Bake for 30-40 min until the mushrooms are softened and the filling is slightly firm and golden brown. I’m new at FPs (I’m a total S girl) but I’m pretty sure this is one. If you don't have any LC bread on hand, could you use almond flour, coconut flour, ground flax or oat fiber? And if so, how much would I need to use? Joseph's has soy in it and I am intolerant. Thanks. I would use a couple tbsp almond flour or just omit the bread.